Part of the AI Series, the HSA 45 hedge trimmer delivers high cutting speeds and a compact, ergonomic design. It is lightweight for enhanced portability and features an integrated battery – so no separate battery or charger to manage. 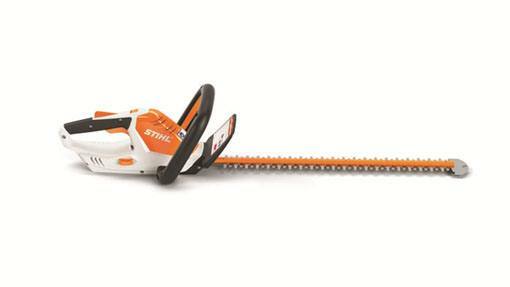 On a single charge, the HSA 45 can trim a hedge 20" wide and a length longer than a football field (360 feet). And with its high cutting speeds of 2,500 strokes per minute, it will take care of your small, urban yard in no time. It’s a great battery-powered hedge trimmer for smaller property care.